In this post I’ll explain what needs to be done in order to make a WordPress website work with AMP post versions. I made a separate post that explains what AMP is. I’ll try to do it concisely, with step-by-step instructions. Let’s begin. There are several plugins, this one is practically made by AMP authors and, so far, has worked fine for me (how to install a WordPress plugin). This step is not necessary, but it’s good to have data on visit number etc. I use Google Analytics. 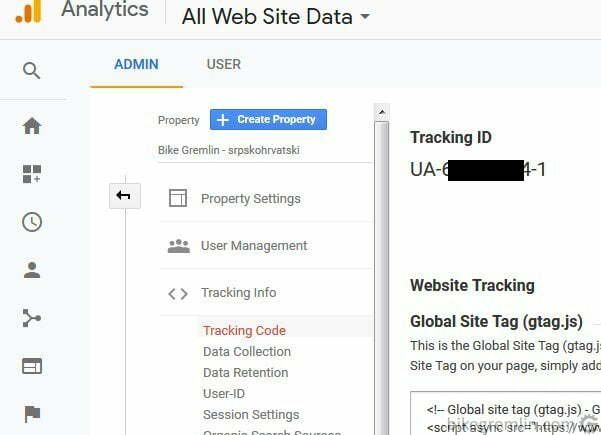 See on Google Analytics what your website Tracking-ID is. If you aren’t using Google Analytics, you should. Lots of articles on the Internet about how to set it up and use it, won’t go into that in this post. Go to AMP plugin options, enter all the data as shown in picture 3, but change XXXXXXXX-Y with your Tracking ID. For easier editing, copy-paste code below, just replacing XXXXXXXX-Y with your Tracking ID. 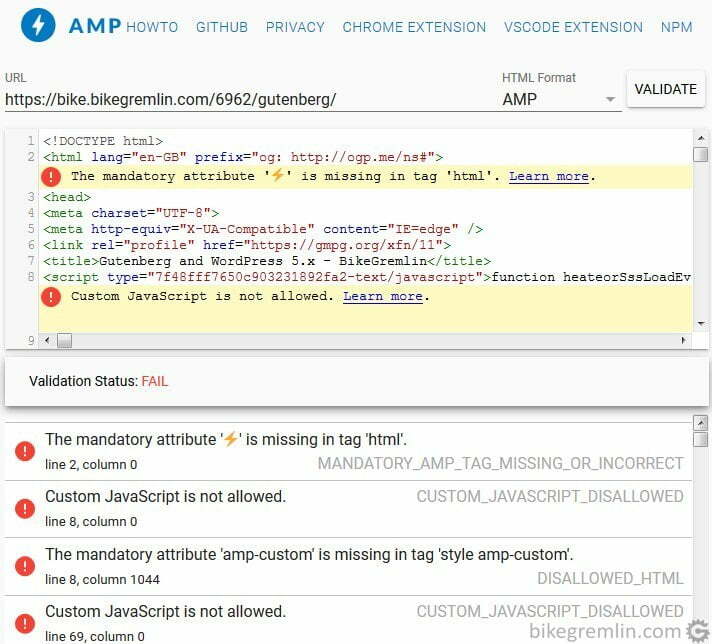 If you are using some other analytics tool, amp-analytics documentation might help. This plugin is an addition for Yoast SEO plugin (which I recommend). If you don’t want to use Yoast SEO, then you don’t need this plugin either (won’t even work). If you do, then by all means install Glue for Yoast SEO & AMP. …With two easy steps… 🙂 If you want ads on your site. If not, skip this step. Choose Ads – Auto ads option, then select AUTO ADS FOR AMP tab, enabling auto ads there. Pictures 7 and 8 show it. and note “Publisher-ID” number – it’s needed for the next step. There are numerous plugins for caching WordPress websites. Some of the optimizations that those plugins do can cause problems with AMP page validation. If you have problems validating your pages, try first disabling the caching plugin and, if that helps, try to figure which otpions cause problems (trial and error method). I asked at the plugin’s support forum if it’s possible to add options for disabling these optimizations for AMP pages only.